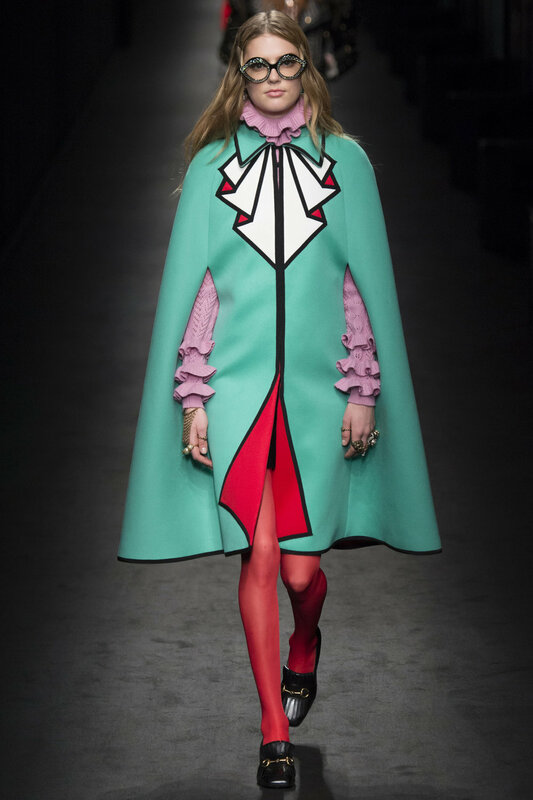 How do you feel about trompe l'oeil in fashion? It normally leaves me cold to be frank. But that little fashion pixie Alessandro Michele got me rethinking it. It's hard to believe it was only in January 2015 that he took over at Gucci, we're already so steeped in his nerdy luxe retro kool aid. The Italians always seem to do trompe l’oeil really well. 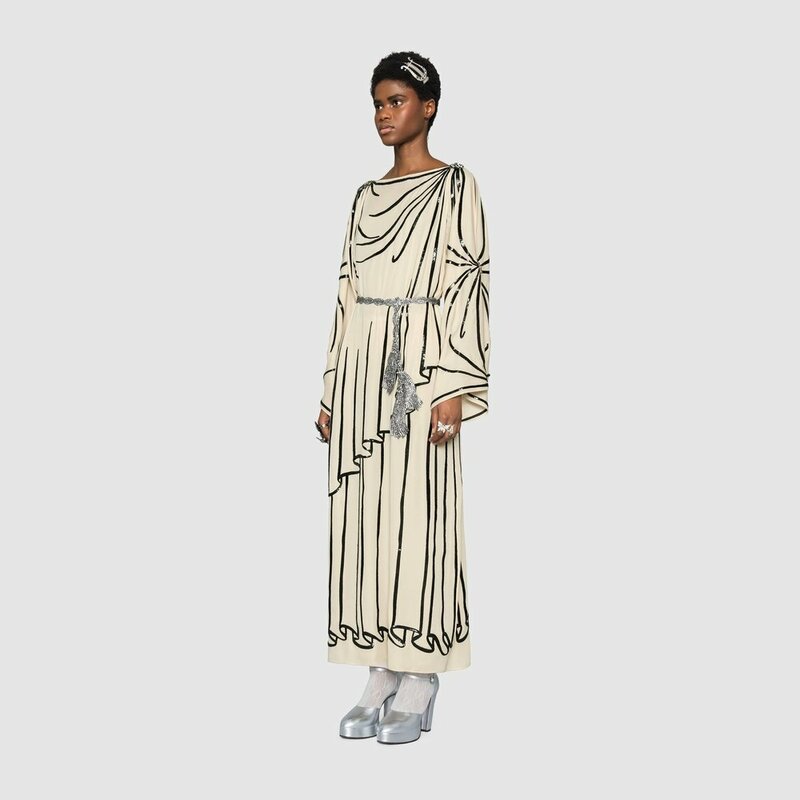 Elsa Schiaparelli and Roberta Di Camerino will be smiling down from heaven when they get a look at AM's latest grecian goddess gown. This is so witty and wonderful, you could easily imagine this as an irreverant wedding dress. All I need now is a groom and £8800 for the dress!!! !